St Joseph’s Convent (SJC) St George’s emerged victorious at this year’s 11th anniversary of the Grenlec debates. 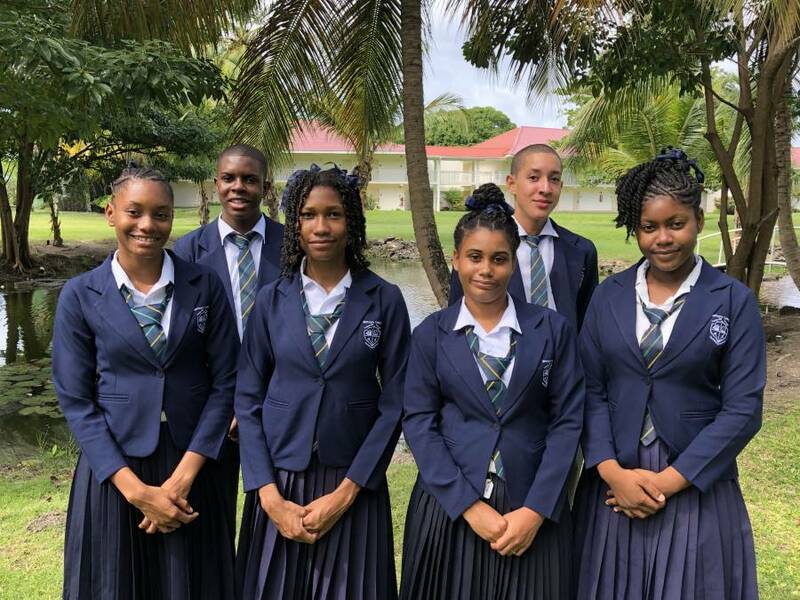 SJC defeated rivals Bishop’s College 737 points to 665 points during the finals of the debates on Thursday, 22 November 2018 at the Radisson Beach Resort. Last year’s winner, Presentation Brother’s College (PBC), took 3rd place. In the end, the SJC debating team walked away with a $30,000 project award for the school along with Apple MacBook Pro laptops for debaters and coaches, educational gift voucher and a challenge trophy together with certificates of merit. With more than $150,000 in school and individual education awards, the Grenlec Debates continues to be the flagship of Grenlec’s Community Partnership Initiative.